Are you overlooking the power of leveraging your own experience based storytelling when working with customers? Well-crafted, well-told experience based storytelling creates customer experiences. Most organizations and associations relegate storytelling to internal marketing and PR resources. These internal resources, in turn, often outsource storytelling to content marketing professionals. And those content marketing professionals may, or may not, be churning out content for multiple clients. As a result, the power of storytelling is relegated to “someone else,” either internal or external to the organization. Because the function of storytelling is perceived as a “necessary and nice to have” element of sales and marketing. But not an element which truly reflects how employees communicate with each other and with customers. Experience based storytelling tells the real story behind the story: collaboration. Most corporate and association storytelling initiatives rarely take a forensic dive into what really went on behind-the-scenes of the glossy stories they tell. In retrospect, the most compelling stories reside in the context in which decisions are made and actions taken by client-focused teams. Creating a team-based storytelling culture is the best way I know to foster cross-discipline communication. To learn more about my storytelling workshops, click on this link. Fostering a culture of team-based storytelling focuses on small, seemingly inconsequential, decisions and actions which make a big impact on customer experience and customer success. First, teams often dismiss the core competencies, values and beliefs that they so effortlessly bring to the workplace each day. As a result, they dismiss the significance of their stories, as well. However, these are the stories to which customers and members most easily relate. When stories focus on the daily balance between risk versus innovation, requiring both courage and critical thinking skills, your stories become believable. Yet, most corporate and association stories focus on various product and service offerings used to solve an emergency or drama. Consider how many customers do business with organizations, hoping to experience a similar drama or emergency. Regardless of the size of your organization, you have stories to tell to retain valued customers. Customers want to continue doing business with organizations who have their backs, even when there is no emergency or drama. Even when their company is a normal, everyday company. 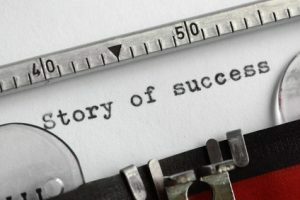 Leveraging experience based storytelling encourages more collaborative business models and profitable workforces committed to customer success and customer retention. Who are the storytellers in your organization? Are you one? Take your next steps towards creating a storytelling program for your association or organization. Get started on leveraging experience based storytelling. Engage me to deliver my storytelling programs at your next corporate or association event. Leverage storytelling for your career trajectory. Book a 45-minute strategy session with me. Babette Ten Haken delivers her One Millimeter Mindset™ speaking programs and workshops to organizations and associations, like yours, who want to leverage collaborate business models and a profitable workforce to retain the customers and members you work so hard to win. Her playbook of collaboration hacks, Do YOU Mean Business? is available on Amazon.com. Babette’s speaker profile is on the espeakers platform.